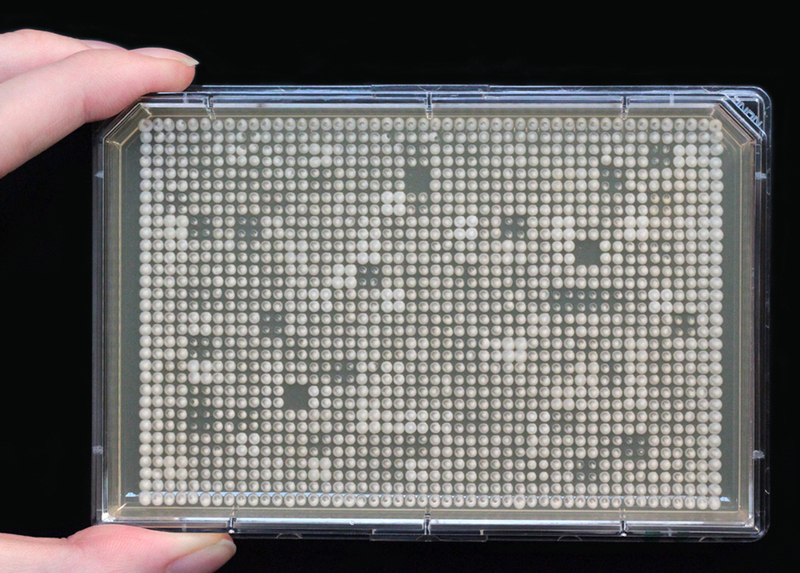 Arrays of mutant yeast strains in a Petri dish. The faster the cells grow, the bigger the colony size (white circles). Teams led by Professors Brenda Andrews, Charles Boone and Frederick Roth, of the Donnelly Centre and the Department of Molecular Genetics, in collaboration with Professor Chad Myers, of the University of Minnesota-Twin Cities, have compiled the first comprehensive set of suppressive mutations in a cell, as reported in Science today. The four researchers are members of the Genetic Networks program of the Canadian Institute for Advanced Research. Their findings could help explain how suppressive mutations combine with disease-causing mutations to soften the blow or even prevent disease. Read more about this work in Quanta Magazine, The Scientist and GEN News.